We're here to help you create a superior customer experience, build agile core banking systems, offer innovative payment services and optimize enterprise risk management. Harness the cognitive capabilities of IBM Watson and the regulatory expertise of Promontory Financial Group to transform your risk and compliance management. Improve capital allocation and decision-making. Combat next generation fraud and financial crimes. Gain an enterprise-wide view of risk and compliance. Go beyond traditional security defenses and resiliency measures. Stay competitive with new technologies and solutions to make your business agile and more efficient. Modernize with cloud by migrating away from legacy infrastructure to unleash innovation. Speed and security are no longer a trade-off. Make sure you have the tools as you make your business architecture secure, GDPR compliant and resilient. Reinvent to be more competitive. Migrate to cloud and transform your business architecture. Open new revenue possibilities and improve customer experience. Extract value and gain competitive advantage by removing data silos. Exploit your data with IBM capabilities to automate complex tasks and focus on higher value work. Keep up with your consumers in a technology and data driven world. Redefine customer relationships in the banking industry. Build a customer-focused infrastructure for all banking channels. Choose the right strategy for your business transformation. Infuse customer service with AI for standardized level of excellence. Establish a unified payment hub to handle emerging payment schemes while spurring business growth with new value-add services. Provide real-time fraud prevention in any cashless payment system. Consolidate your legacy systems into a single payment hub to simplify processes and reduce costs. Deliver real-time payment services. Accelerate digital transformation with the IBM Open Banking Platform. Create modern banking apps while enabling low-risk innovation and open banking. Learn why open banking is leading to many benefits for financial institutions, including providing them with more opportunities to collaborate and partner with Fintechs. An integrated system that leverages existing technologies and data to enable bank participation in the API economy. “Evolution of the API economy,” examines the forces driving API usage, as well as the potential business models and monetization strategies APIs can help create. AI, blockchain, and cybersecurity advances are poised to transform the financial services industry. IBM's innovative end-to-end GRC solution is powered by Watson. Financial crime detection is primed to embrace intelligence and automation. Businesses today must be bold about their transformation to reap real rewards. How prepared are you for the next big thing in payments? Voice! Traditional banks are aiming to be wherever their customers are and offer seamless experiences. Recently, the current U.S. administration has repeatedly used economic sanctions to further foreign policy objectives. Advances in AI, blockchain, and cybersecurity are poised to transform the financial services industries. One of the best things about IBM RegTech is blockchain. We are in a new phase with blockchain, cognitive and machine learning. There’s a growing trend by clients to move to the cloud, including core banking applications. Data, data, everywhere, but how in fact to THINK. Open banking at its core is about empowering the end customers as owners of their data. There’s a new normal in financial services driving disruption in the banking value chain. Motivating sales teams with commission payments is central to success. Financial risk APIs are an innovative suite of services that can provide scalability, cost management, and development agility. Financial institutions globally are awakening to the fact that regulatory technology will drive the next wave of innovation. With IBM SPM, businesses can end shadow accounting in the commissioned sales agent compensation process by establishing trust through transparency. All industries face these 5 trends, but they affect financial services more acutely. On May 22, about 100 C-level executives joined us for an all-day conference. There are 3 elements for digital transformation success for banks. IBM has a long history of working with the top financial institutions around the world. See how our deep industry and technical expertise has made IBM the strategic partner building customer centric experiences in banking. Dutch bank ABN AMRO Bank N.V. sees a seismic digital shift in the banking industry and is making investments to keep ahead. That future centers around analytics, cognitive computing and mobile technology. 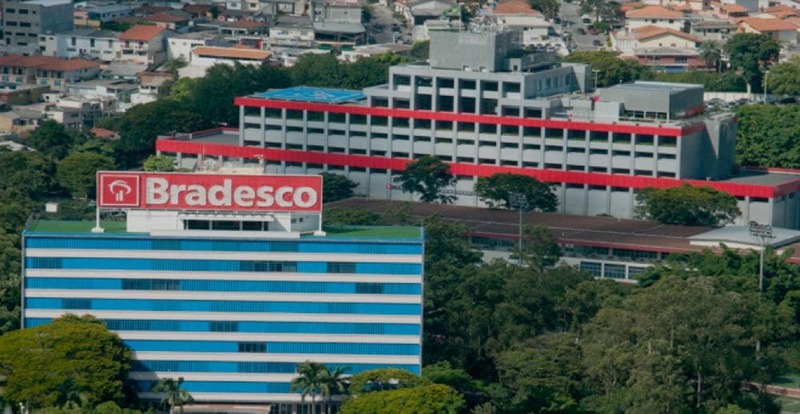 With online and mobile banking surging in popularity in Brazil, Banco Bradesco modernized their core systems to support growth in online and mobile transactions, while preserving exceptional reliability. IBM and Promontory are at the forefront of a technological revolution in the financial services industry. To the untrained eye, the infrastructure of the world’s financial institutions is a snarled web of systems hampered by constraints. We're changing that. How can risk managers, treasury and ALM teams consistently act upon insights they can gain from integrated market and credit risk analysis? To reduce costs and accelerate innovation, banks need to bridge on-premises infrastructure with private and public clouds. The average bank has over 500 cloud-based services and applications. Banks are learning how to develop, test and deploy cloud services and applications in a multi- vendor, multi-cloud environment. IBM Cloud for VMware helps banks and financial organizations cut costs and scale infrastructure to run virtualized workloads in cloud. Maintain privacy, security and regulatory compliance required for banks. General Manager of IBM Z Ross Mauri reveals the IBM z14 single frame. The new z14 pervasively encrypts 100% of application, cloud service and database data. Find out more. Act fast on services and transactions and data that customers create. IBM Cloud Object Storage is the solution for vast amounts of new data sources and types. See how flexible storage enables rapid change. Extend systems with cloud and new technologies to create innovative apps and services – and keep your business secure and compliant. See how IBM Cloud for VMware securely manages mobile payment transactions. IBM security solutions help banks and financial institutions make their architecture more agile, compliant and security-rich. Read the blog to learn how IBM Z protects data just one click. Firms monitored by IBM X-Force® had 48% fewer security incidents. IBM Z helps banks move faster to meet customer needs and deliver products to market quickly through machine learning. Z leads the industry in record up-time with 99.999% availability. Learn how IBM Z can be your secure vault. Front office banking is leading modernization of the financial services industry. Build deeper customer relationships and personalized digital experiences with AI, while lowering operating costs and boosting return on investment. Provide customers personalized and specific answers delivered in human-like conversations 24 hours a day. Transform customer engagement with virtual agents. One of the biggest weapons in a banks arsenal is the chatbot. 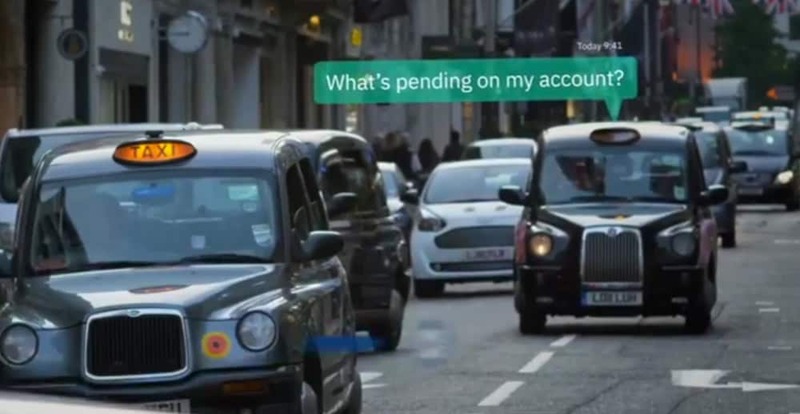 Raising Cora: Engineers build the AI, but a team at Royal Bank of Scotland brings their digital assistant to life. Together they’re putting smart to work. Digital technologies are changing how banking is done. Banks must transform channels and customer interacts, or risk being left behind. Read the case study to learn how a large global bank turns data into deeper insights. Branch transformation is arguably the rewarding project a bank can undertake. Learn how to build deeper customer relationships and personalized digital experiences with AI, while lowering operating costs and boosting return on investment. Simplify processes, lower operating costs and enable quicker time to market. Modernize payment operations by radically simplifying processes and cutting costs. Provide fraud prevention in any cashless payment system, through any channel. Speak with an IBM Financial Services expert.